It has been 15 years since the Asian hornet appeared in France. It spread over almost the entire territory. 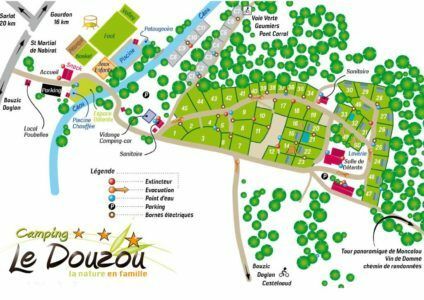 The Dordogne has not escaped and was one of the first department invaded. This pest, without natural predators, is a threat to our ecosystem. 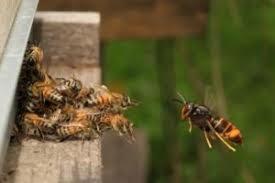 The Asian Hornet does not represent a real danger for humans. Its venom is no more toxic than that of its European cousin. It is for the bees that it is a threat. They make up 80% of his diet. That’s why we must act. How to identify an Asian hornet ? Smaller than the classic hornet, the Asian does not exceed 3 cm. It is thanks to its color that we can distinguish it. A dominant black, he has an orange band on his abdomen and his legs are yellow. His swarm is also recognizable. In the form of a balloon, it can reach a diameter of 1m20. If you approach within 5 meters, you may be exposed to a collective and determined attack. The nests are usually built at a height of more than 10 meters, exposed to the sun, as on the treetops. How did he come to France ? It was seen for the first time in France in 2004 in the Lot et Garonne department. It has probably arrived from China by container ship. He spread quickly. A swarm will spawn four new nests the following year. It is now present throughout Western Europe, from Portugal to Germany. Why is it considered harmful ? The Asian Hornet is not a direct danger to humans. The risk will come in case of multiple punctures, punctures on sensitive areas (throat, tongue) or in people suffering from allergic fragility. It is devastating for other insects, especially bees, which account for 80% of the diet. The Asian is the only insect that knows how to fly hovering. He places himself in this position at the entrance to the apiary. He catches and kills the bees he brings back to his swarm to feed the larvae that will give birth to new hornets. The whole hive will not be exterminated by the hornet. Its presence will disorient bees that will abandon and kill their habitat. What are the ways to fight the Asian hornet ? 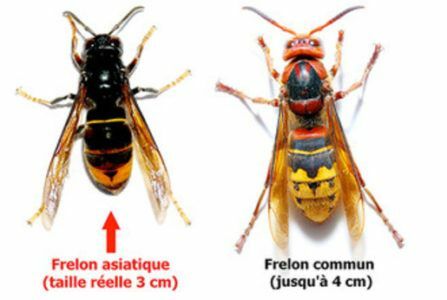 In France, the Asian hornet does not have a natural predator, with the exception of some species of birds that are insufficient to represent a threat. It is up to the man to try to control this invasion if he can not eradicate it. Opinions differ on this subject. 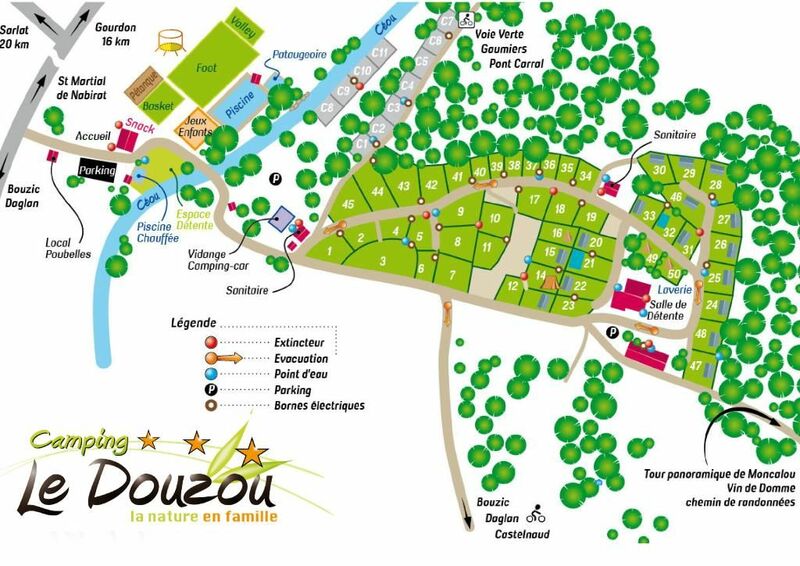 The department and towns of Dordogne encourage people to use traps in early spring. This method involves mixing beer, syrup and white wine in a plastic bottle. At this time, the queens come out of hibernation and seek to build a new swarm. 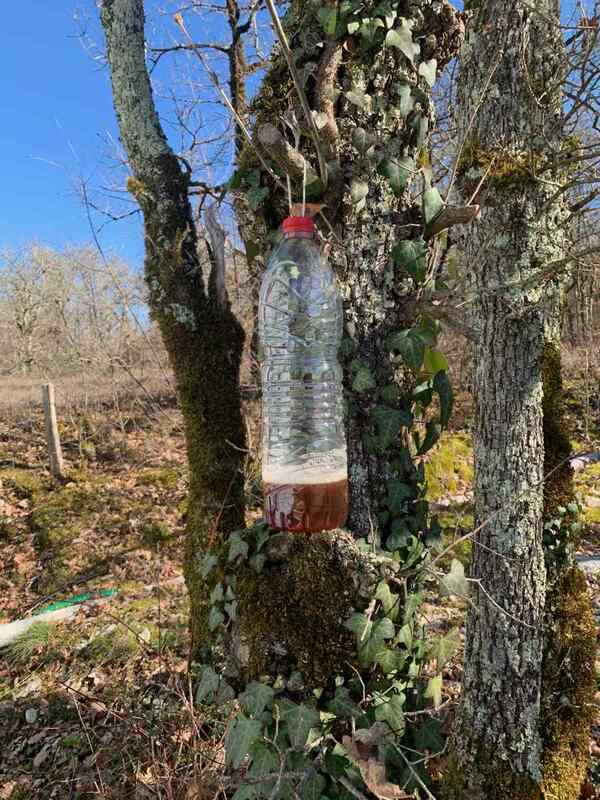 Trapped, their capture will avoid the construction of a nest with an average of 2500 hornets. 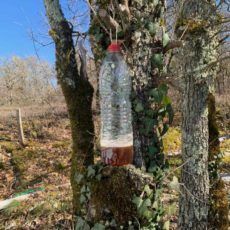 But this strategy has its detractors who believe that the traps also cause the loss of many insects attracted by the sweet mix. They recommend installing them only near beehives to provide a protective shield for bees. Scientific research is underway in Europe to find an effective means of combating hornet. For the moment, the systematic destruction of the nests remains the unanimous method but only to knowledgeable and equipped professionals. During the last two seasons, we did not find any nest in or near the campsite. The installation of traps in early spring may be the cause. We capture a lot of queens during this period. As part of our eco-friendly approach, we are rehearsing this process this year, pending the discovery of a more effective way.